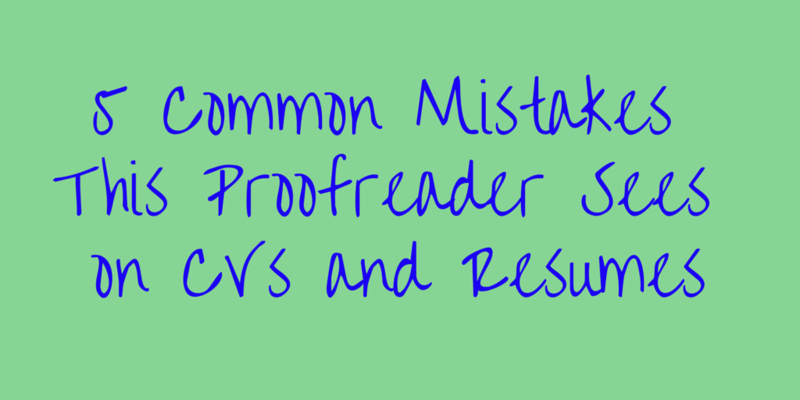 Share the post "5 Common Mistakes This Proofreader Sees on CVs and Resumes"
When applying for a job, it is vital to make a good impression. Most openings have many applicants, so you need to stand out from the crowd. I proofread a lot of CVs, resumes and covering letters and, because I have hired staff, I also know what employers want to see. Here are some top tips to make sure your job applications stand out for the right reasons! Avoid spelling, punctuation and grammatical errors. It is really hard to proofread your own work – your brain reads what it thinks you wrote, rather than what you actually wrote. Having somebody else (e.g. me!!) proofread your work can help to make sure you don’t send out your job application documents with any embarrassing typos. Think about the length of your documents and, where possible, shrink them down. Prospective employers don’t have the time or the inclination to scan eight pages of your work experience, however fascinating it may be. Make your application specific to the post. This can be difficult when you are applying for lots of jobs, but being too general can lead employers to believe that you are not specialised enough for a position. If you are applying for jobs in different industries, have two or three CVs prepared so that you can send the most suitable one in each case. Show, don’t tell. If you want to demonstrate that you have great leadership skills, talk about an occasion when you led a team successfully. Just saying ‘I have great leadership skills’ doesn’t tell the employer very much at all. Avoid big blocks of text. Breaking up the information on your CV with bullet points, headings and white space makes it much easier to digest. Above all, be yourself, and share your best self. 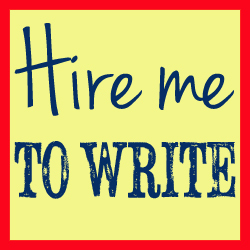 If you need help with CV or job application proofreading, please get in touch. I would be happy to help.